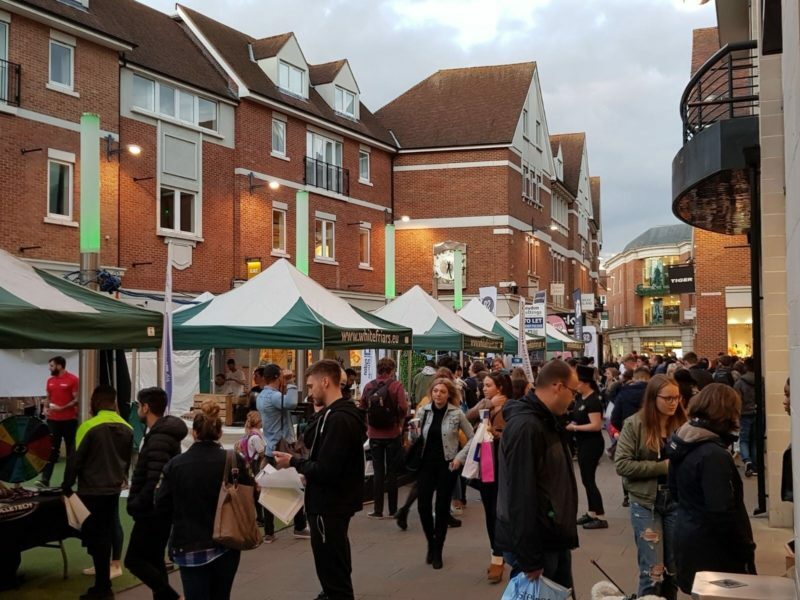 Thousands of students are expected to descend on Canterbury city centre on Thursday, 4 October for the annual Student Shopping Night hosted by Whitefriars in association with Student Republic. This exclusive event will give students from all the city’s universities and colleges the opportunity to access discounts of up to 40% at Whitefriars stores, whilst enjoying a totally unique shopping experience (valid Student ID required). Similar events have seen up to ten thousand students flocking to the shopping centre. This year’s event runs from 5pm to 9pm and will feature live music performances, a resident DJ, games, goody bags and giveaways, including free Domino’s pizza slices (whilst stocks last). Attendees will also be able to take part in a free prize draw to win an Apple MacBook worth £1,249, plus other great prizes, just for showing up on the night. Free prize draw entry forms and an event programme are available from Whitefriars retailers.